For those interested in a prestige compact SUV, the next Audi Q5 might well be worth waiting for. It’s not the most exciting car of its type, but it is one of the most well-rounded, doing a great job in most areas, and an exceptional job in some. A surefire hit. What’s more, the car really has its work cut out in an ultra-competitive sector of the market, facing several new prestige compact SUVs. Mercedes has recently introduced the GLC, while Jaguar has also chipped in with the F-Pace; and, what’s more, BMW is planning an extensive revamp of its X3 next year. 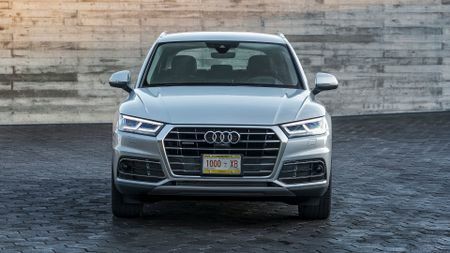 As with many of its cars, Audi is placing its faith in the Q5’s desirability and technology to attract buyers, and it has both those attributes in abundance. The desirability comes not only from the four-ringed badges at either end, but from looks that are pretty hard to distinguish from those of the bigger, more expensive Q7. Then, as always with an Audi, things get a great deal more desirable when you open the door and climb inside. The materials and cabin design are taken almost wholesale from the latest A4, meaning that the materials feel dense and sophisticated, and that everything is finished with flawless precision and attention to detail. 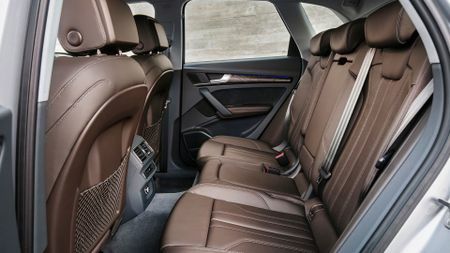 The size of the cabin adds to the luxurious feel, because the new Q5 has more distance between the front and rear wheels than the current model, and that gives more rear legroom, meaning adult passengers have more space to stretch out. The boot is marginally bigger than the previous car’s, too. The cabin also delivers on the technology part of the equation. And, although the car was only unveiled to the world a week ago at the Paris Motor Show – so it’s way too early for UK specs to be available – we’d be staggered if things like climate control, leather upholstery, parking sensors and sat-nav weren’t provided as standard. However, the really clever stuff will be saved for the options list, including Audi’s Virtual Cockpit information display, wireless phone charging, a wifi hotspot and sat-nav that can predict where you want to go before you even tell it. You’ll also be able to specify a suite of driver assistance systems that, in the right circumstances, will do much of the driving for you. Not that you’ll want it to, because the new Q5 is a massive improvement on the old car in terms of its driving manners. Granted, the example we drove was fitted with optional air suspension, which is the poshest one of the four suspension setups available, but with it fitted, the Q5 is very good indeed. Importantly for a car that’ll be used primarily as family transport, it delivers a lovely, smooth ride that wafts you along luxuriously when you select the car’s ‘Comfort’ setting; and, when you shift to ‘Dynamic’, you enjoy really crisp body control that contributes to impressively sharp handling. Granted, the Q5 can’t match the likes of a Porsche Macan or Jaguar F-Pace for outright handling excellence – for example, the steering doesn’t have the same level of engagement, although it is weighty and consistent – but there’s no doubting how competent the Q5 is through a set of bends. Obviously, grip and traction also help on this score, and the Q5 has plenty of both. 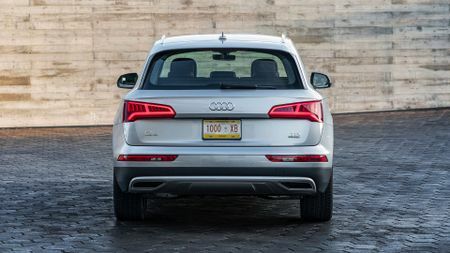 Although most versions have abandoned permanent four-wheel drive, standard on all previous Q5s, for an on-demand system that disengages drive to the rear axle under normal driving conditions to save fuel, you’ll struggle to detect the difference in the traction delivered. That’s true both on Tarmac and on looser surfaces. When the car goes on sale next year, you’ll be able to choose between a couple of turbocharged 2.0-litre four-cylinder engines, a petrol with 248bhp and a diesel with 187bhp, both of which will come with a seven-speed twin-clutch gearbox as standard. The vast majority of UK buyers will plump for the diesel, but we only had the opportunity to drive the petrol. It’s pretty good, with a generous slice of easy-to-access torque for nice, easy progress, even if it doesn’t feel as brutishly quick as the power output suggests. It is, however, very smooth and quiet, which contributes to the car’s very impressive refinement. Well, judged purely on the merits of what we’ve experienced, then you should definitely consider it. 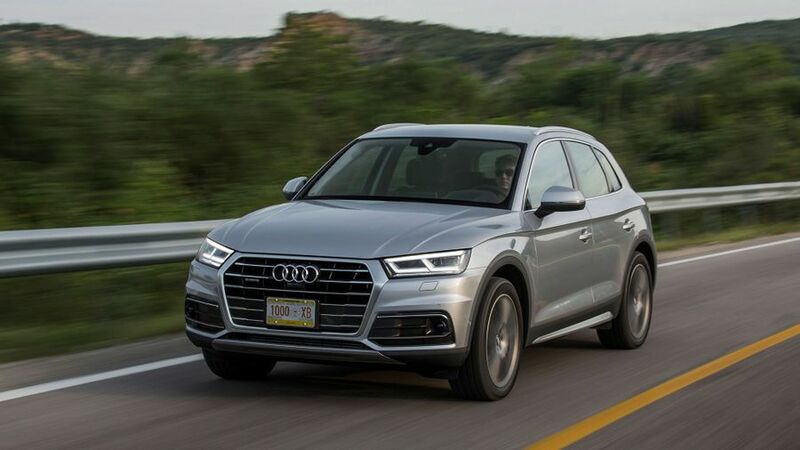 Granted, the Q5 isn’t a car that gets your heart fluttering in any major way, but it does a great job in every single area, and in some – most notably quality and refinement – it does a truly exemplary one. Like the equipment specifications, UK prices are some way off being announced. We expect them to be competitive with all the Q5’s key rivals’, but with cars like these, pricing isn’t normally a deal-breaker; you don’t pick the cheapest one, you pick the one you want. Sadly, the other thing we can’t tell you is how efficient the car is, because at this early stage, the official tests are yet to be conducted. 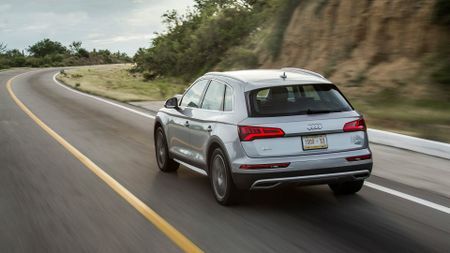 However, with Audi’s latest engines and a range of efficiency-enhancing measures (including the move to on-demand four-wheel drive), we’d predict a very competitive performance for both economy and emissions.